So say your goodbyes, because the world won’t survive. Oh, how the taste for terror was grossly rising –– a devotee for chaos, the woman sought to reign havoc and madness in every soul, no matter the cost. It’s like a drug, the only medicine for survival. The previous confrontation went quite swell, and yes, she was going to get what she wanted; did they honestly believe otherwise, however? Rotten to the bone, cruel desires catered to the demonic decree she so proudly wore. My, Bhavik was going to use them in ways that cannot be considered humane, but they didn’t need to know that, not even a little. A cackle bellowed from the back of the wolf’s throat, ghastly and grim as static marched every crevice of the devil’s existence, glow pulsating until it fell out of luck. Eyes of divine sclera, swamped by blood, glazed the white dunes and all it gave to offer -- uncertain of what lies beneath, the teal lagoons dominated it nonetheless. Oh, to devour the very flesh from that child’s skin would’ve been glorious; she was no fool, and they wouldn’t dare defy it. No, it simply wasn’t allowed. That singular wing fled from its placement at Bellamy’s side, snarls ghoulish and full of intention –– she wanted to play –– a raw breath was carved out like spliced metal, tongue raking those over-extended canines. To what shall this bring, though? Bhavik begged to be pleasured, to be entertained by the body of another. She was hungry, and her smile was vividly crooked. Savant 0/3 | Electricity 1/2 | Light 1/2 | Metal 0/2. Untraceable 0/1 | Diligent ∞. 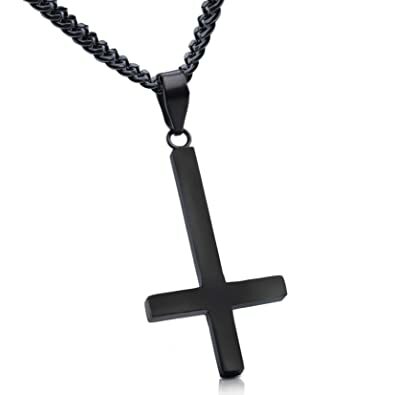 Wears an upside-down cross necklace w/ metal and a septum piercing w/ light. He traveled in silence. He observed everything around him. He needed to garner information. As he stepped into the lagoon, however, disappointment came. There was hardly a good place for him to set anything on fire with so much moisture around. The second that he would attempt to do, the moisture itself would smother the fire before it even had a chance to grow. Even so, ignite was used in front of him, merely so that he could see the sparks for a second before they were smothered. His eyes light up before they narrowed in agitation. It wasn't long enough. There had to be another way for him to get the results that he wanted. Things would have to burn or otherwise, he was sure that he was going to go insane. Not that he might not already be. Eirikr wasn't sure that was even remotely possible. He stepped where the small spark of flames had been, barely able to even feel the heat as he traveled. As he did, static caressed itself against his body. He didn't know how long or how far he traveled. All he did know was that he finally crossed against the scent of another. He narrowed his eyes, his head traveling to where the scent was coming from. There, he could see that he had crossed the path of a female wolf. Eirikr studied her from his advantage point. He didn't know if she had spotted him. Would it be possible for him to get what he wanted from her? He wasn't sure of the answer and so, for the moment, he kept his distance.